I am a senior mechanical engineering major with hopes of pursuing a Ph.D. in mechanical engineering, and I have the pleasure to serve as president for Maryland Beta. Outside of the classroom, you can find me tinkering with computers, losing to my roommates in videogames, and serving as a distraction in the lounge. Hi! I'm a senior mechanical engineering major with an interest in aviation. In my free time, I play video games and board games, as well as read cool books, paint fun things, and go on crazy adventures. In addition to Tau Beta Pi, I am a UTF for ENES100, and a violinist for solo and ensemble performances. Hello there! I'm a junior electrical engineering major and I'm currently pursuing a minor in business analytics. In addition to Tau Beta Pi, I'm on an Indian Classical dance team called UMD Moksha. In my free time, I like dancing, singing, being a podcast nerd, trying to become a WWII enthusiast, or wasting my life watching the Bachelorette and Degrassi. I'm also insanely addicted to peanut butter. Feel free to contact me for any reason! Hi! I'm a bioengineering senior with an interest in clinical research and prosthetics. My first home is in Texas, but I'm happy to have UMD as my second. In my "free" time, I teach the Gemstone Honors Program introductory course, dance in UMD's only performing ballet company (Ballet Company M), volunteer with the University Health Center, and experiment in the kitchen. My goal is to do service abroad after I graduate before returning to the US to continue my education. Hello! I'm a senior chemical and biomolecular engineering major with minors in sustainability studies and project management. Currently, I'm doing research through the Gemstone Honors Program looking into the ability of biowalls to remove toxins from indoor air. In my free time, I like reading, baking, hiking, or just watching Netflix. Hey all, I'm a senior in mechanical engineering with an interest in LIDAR. I love Italian food, war movies/shows, reading fiction, and watching football. One of my favorite service organizations is AALEAD which provides after-school enrichment programs for elementary, middle, and high school students. I hope to see you at some of our service events! Hey everybody! I am a senior Computer Engineering major enrolled in the BS/MS program here at Maryland. I am also an undergraduate research assistant at the Maryland Cybersecurity Center, and currently I am trying to track malicious sites using the DNS Root Server at UMD. My hobbies include playing music, dancing, poi, and weightlifting. Feel free to get in touch if you want to talk about computers, or if you feel like jamming! Hello! 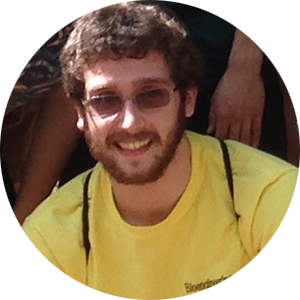 I am a senior bioengineering major with an interest in medical device design. I hope to pursue a career in device design that especially helps those who are less fortunate and in need. My interests include playing sports, travelling, being outdoors, and learning about social justice issues! Hi everyone! I'm a bioengineering junior with an interest in going to medical school after college. Currently I do research at the FDA and UMD working with a nano3D printer for biological applications. In my free time, I've been working on improving my photography skills and I also enjoy outdoorsy activities like hiking. I am a senior fire protection engineering major with a minor in project management. Furthermore, I am enrolled in the accelerated Bachelor's Master's Program for fire protection. When I am free of the commitments of school, you will find me playing board games, beating my roommates in video games (@Chris Strem, President), and sleeping in the lounge. In addition, I enjoy playing the trumpet and soccer. 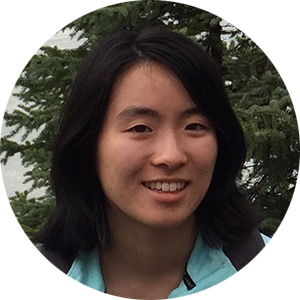 Hello, I am a Sophomore Materials Science and Engineering major. In addition to slaving away over homework and spending quality time with the wonderful people of Tau Beta Pi, I enjoy playing guitar, nerding out about materials, eating, snowboarding, hiking (any and all outdoor activities) and cooking. Feel free to contact me anytime (at the conveniently listed email above) if you have any questions or suggestions for social events! I'm a junior electrical engineering student. I research in Prof. Scarcelli's bioe lab shooting lasers at stuff, and I'm also a UTF for ENEE200. I'm aiming to study bioengineering in graduate school. I love swimming, biking, climbing, hiking, skating, skiing, and kite flying, and I'm always out and about and down for spontaneous adventure. I also love game nights. If you have any ideas for events please let me know! Hi, I'm a junior computer engineering student. I'm involved with sustainability efforts around campus and am a UTF for ENEE 244. I'm hoping that I'll be able to study abroad in the spring semester. I've long been a PC hardware enthusiast and enjoy cooking and playing Frisbee. Please let me know if you see any issues with the website. 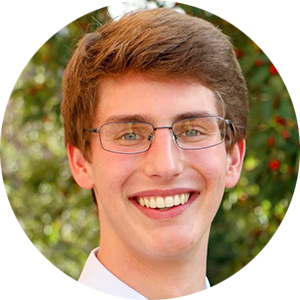 I'm Eli Fastow, a materials science and engineering major and nuclear engineering minor. I work in a radiation and polymer science lab, Cummings Tristar, and terrapin works, and hope to pursue academic research after graduation. For fun I like to run and ski with the respective running and skiing clubs. I also serve as an engineering and honors ambassador. Not actually a piece of furniture, but I do live in the lounge.